Project Perfect Mod :: View topic - Top 100 MOTY 2014! Posted: Sat Dec 13, 2014 7:17 pm Post subject: Top 100 MOTY 2014! Thanks to your votes, Odyssey has made it to the top 100 mods on MODDB. But wait, there's more!! Phase II of voting is about to begin! 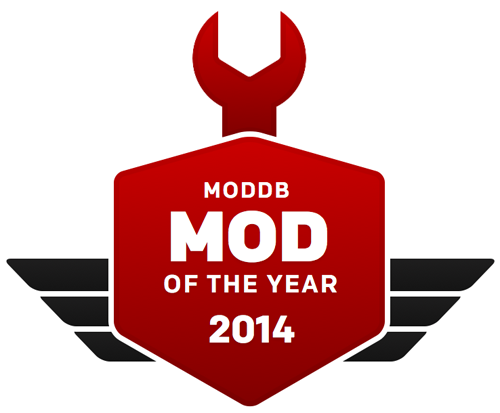 Head over to ModDB to cast your vote again! Push onward, comerades!